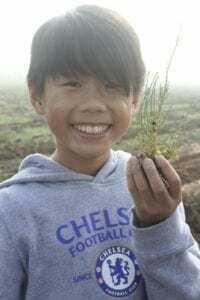 For the past decade Churchlands Primary School and the Rotary clubs of Subiaco and Quairading have combined forces for an annual tree planting event. 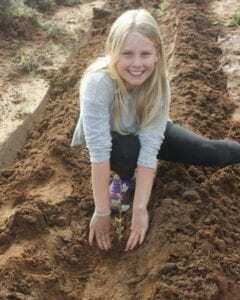 This wonderful experience offers Churchlands school children an opportunity to learn about the problems associated with salinity in the soil throughout rural regions of Western Australia. 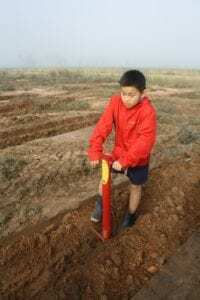 Research has proven that tree planting on salt affected farmland lowers the water table which therefore reduces salinity levels. 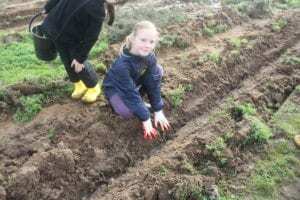 Churchlands Primary School students have had a positive impact on reducing the environmental problems facing the small wheatbelt town of Quairading only 165 kilometres east of Perth. 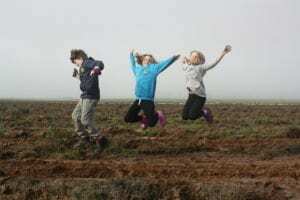 The annual camp involving year 5 students, teachers and parent volunteers always coincides with National Tree Planting Day each year. The camp involves an overnight stay sleeping at the Quairading District Highschool. Students travel by bus to Quairading stopping at York for a break. After arriving at the school, they experience a historical tour of the Rabbit Proof Fence and learn about important local aboriginal sites via a bush walk. Students are also educated on the importance of local crops such as wheat and canola. The real fun begins when students are asked to set up their sleeping arrangements in the classrooms at the school. Often this is the first experience for kids to be away from their parents and where the creature comforts of their own home are left behind. The local Rotary club along with the Quairading Youth Centre provide the perfect venue for the Churchlands students to undertake activities that they wouldn’t normally experience….. a sausage sizzle, ice cream in a cone and toasted marshmallows on a stick in an open fire add to the experience. Looking at the sky at night, smelling the smoke of a camp fire and witnessing the peace and tranquillity of a small community provide city students with a very different life experience. A highlight for Churchlands students was the opportunity to participate in a talent show. This provided unlimited entertainment for the audience! They were totally entertained by comedians, singers. dancers and musicians. This certainly was a night to remember! After a freezing night where the temperature plummeted to 3 degrees, with not much sleep was had due to hard floors, snoring and unfamiliar surroundings, the students awoke bright eyed for the tree planting adventure ahead. The Home Economics room provided the prefect venue for students to make their own breakfast including cereal and toast. This was a novel experience for some students as they had to make their own breakfast and wash up their own dishes! How important these life skills are!